Remember that Elon Musk tweet from earlier this year where he talked about putting an "old school drive-in, roller skates & rock restaurant" on the site of a new Tesla Supercharger location in Los Angeles? Well, the company may be taking steps to make that dream (and the non-official mockup rendering above that it inspired) a reality. Tesla has applied for building permits in the oceanside city of Santa Monica for a "Tesla restaurant and supercharger station." 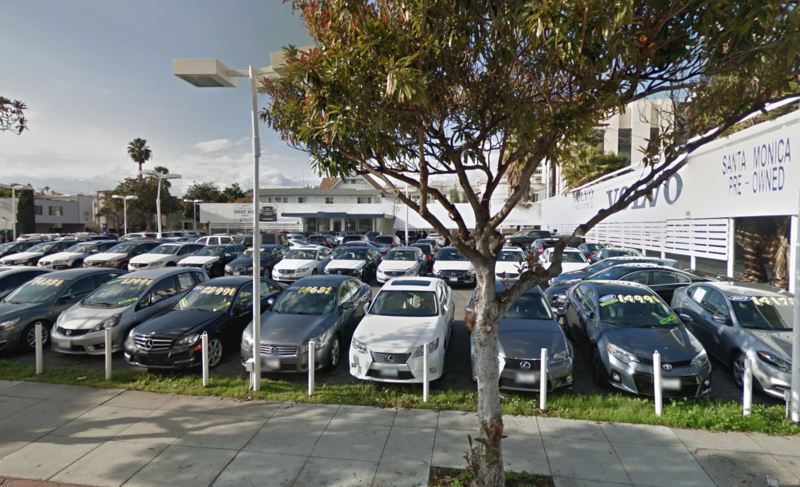 The restaurant would be located at 1401 Santa Monica Boulevard on the site of what currently appears to be a used-car lot for Volvo of Santa Monica. 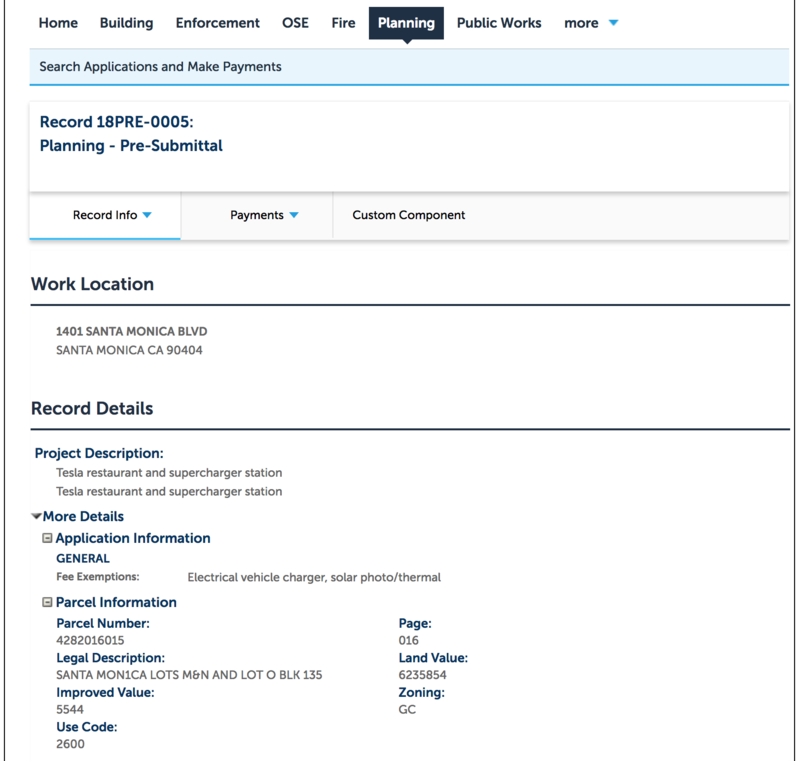 The permit is listed as "pre-submittal," with fees totaling $2,747.72 paid late last week, and there's no information about when they might be approved or construction would begin. Musk added more details to his original announcement, saying that there would be an outdoor screen playing a highlight reel of scenes from classic movies and that the menu could integrate with the touchscreen in Tesla vehicles for easy ordering. Electrek, which first reported the permit application, notes that Tesla opened a Supercharger station in Kettleman City, Calif. last year, its largest with 40 charging stations, that features a lounge with a coffee shop, and that Tesla co-founder and CTO JB Straubel spoke at a food-service trade show about how its Supercharger locations are becoming more like convenience stores. The Kettleman City Supercharger is shown in the video above, which gives an indication of Tesla's interior design sensibilities and amenities on offer. Of course, it's difficult to to square this remote, ghost-in-the-machine aesthetic with that of a rock-and-roll 50s-style diner on busy Santa Monica Boulevard. 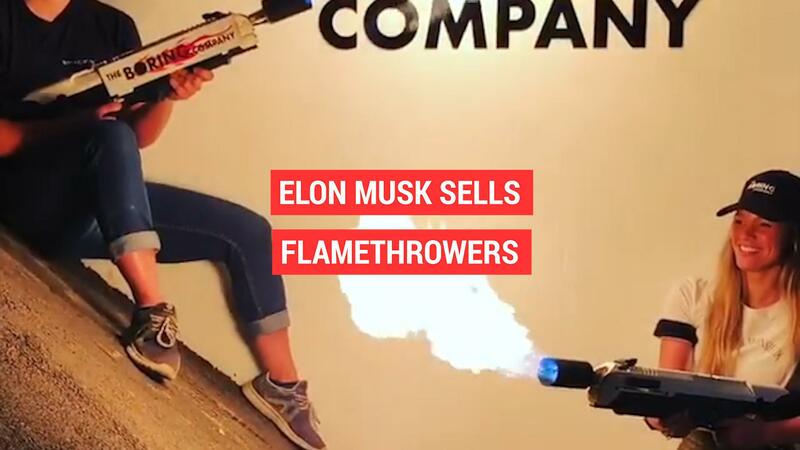 At any rate, we look forward to following this story. Tesla says it now operates 1,130 Supercharger stations with 8,496 supercharger ports at locations across Asia, Europe, North America and the Middle East.